"Scenic Cycles Address Labels" product is already in your cart. 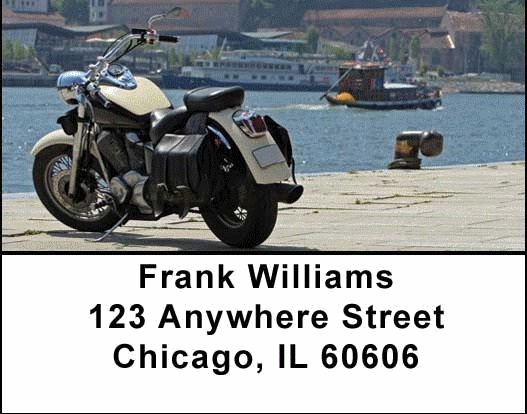 Feel the wind on your face with Scenic Cycles Address labels showing a variety of motorcycles with their traveling apparatus. Styles of motorcycles vary considerably depending on their function. Some are meant to go the distance, others for urban congested traffic, and still others are for racing or off road sports. Cruise along the road of life with our Scenic Cycles Address labels which are self adhesive. Matching checks are also available.